(Natural News) The number of robots involved in the manpower-deprived construction industry has been increasing as of late. An architectural startup has decided to automate much of the construction process using 3D-printing robots. In a Business Insider article, the robot home-builders can print a 1,000-square-foot dream house in just half a year for as low as $300,000. The 3D-printing robots of Branch Technology can do this by printing the parts of a house, which will be put together at the construction site. Branch spokespersons announced that the company will be building a prototype house in Chattanooga, Tennessee in 2018. The design for the model building, called “Curve Appeal,” was provided by WATG architects. It will take three to four months for the robots to print the walls, roof, and internal parts of the model building. The printed components will be assembled by a human construction crew within another couple of months. The ultimate goal of the company is to take 3D-printing technology to its limits in the field of construction. David Fuehrer, the director of sales for Branch Technology, says the 3D-printing robots are performing the job for the Chattanooga State Community College. As part of its plan to shape the 3D-printed home of the future, Branch issued the Freeform Home Design Challenge in 2016. WATG won that competition with Curved Appeal. The WATG design contains a bedroom, bathroom, and living room. Branch converted the blueprints into computer code that can be deciphered by the four 3D-printing robots at its facility. Conventional 3D printers build things by layer. Branch’s robots deviate from this standard by building lattices that will hold concrete and liquid foam. Once these panels have hardened, they will be fastened together. Fuehrer claimed that homes built from these printed panels will be several times more durable than wooden equivalents. Branch’s home-building process is also more efficient than traditional construction because its robots will only print the parts that are needed. There will be no wasted materials that need to be disposed of. The hardened panels will be transported to the construction site, where a human construction crew will put them together. The workers will also install appliances, plumbing, and other finishing touches. Printing the Curved Appeal model will cost $300 to $400 per square foot. This does not include finishing, furniture, and other incidental parts. Fuehrer said a similarly sized, traditionally built house would cost much more than Branch’s model. The skilled workers needed for the job will drive costs per square foot by a minimum of $800 up to a maximum of $1,400. The completed Curved Appeal will be donated to the Chattanooga State Community College as its newest classroom. 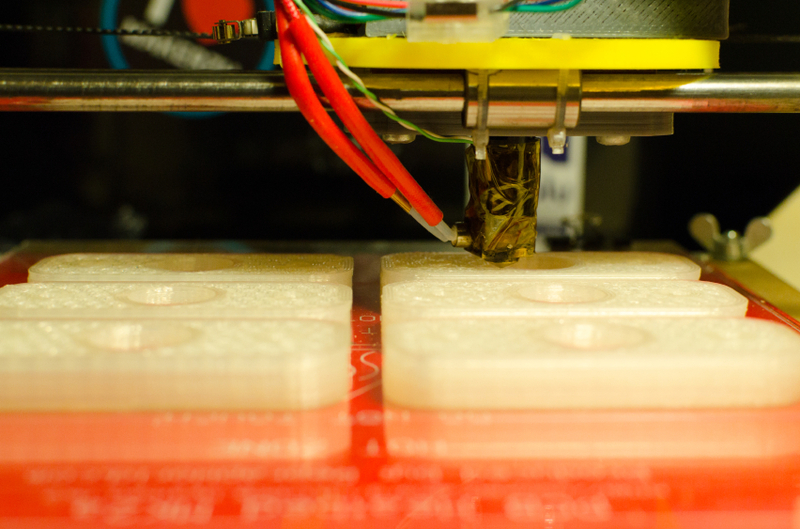 Branch stressed that the efficiency of 3D printing makes it perfect for housing construction. This will reportedly hold true on extraterrestrial planets as much as it does on Earth. The company received a grant from NASA in 2017 for precisely such a purpose. Branch investigated ways of using 3D printers to build human habitats on Mars, where it would be difficult to find or import the skilled laborers needed for traditional construction. For now, Fuehrer and the rest of Branch are perfecting the printing process for custom housing and commercial buildings on Earth. You can find more articles about construction robots like Branch’s 3D-printer bots in Robots.news.